We're pleased to have with us indie SFF superstar Brian Niemeier, author of the award-winning Soul Cycle trilogy, the recently-published fantasy novella Hymn of the Pearl, an upcoming science fiction series with Castalia House, and a number of other works accessible through his blog. We pulled these questions from PulpRev enthusiasts through our Discord; feel free to join us there if you'd like to participate in future interviews. You've recently released a novella, The Hymn of the Pearl. What's the catchiest way to sell it in one simple sentence of no more than twelve words? What kind of classical influences inform Hymn of the Pearl? Any works in specific? Hymn of the Pearl’s major inspiration came from a theology professor who explained how the Greco-Roman pagan and Christian ideas of salvation differed from one another. Christians believe that Jesus died to save us from sin. The pagans hoped for a savior who would free them from the bonds of fate. Of course, I’ve read classics like The Odyssey and The Aeneid. 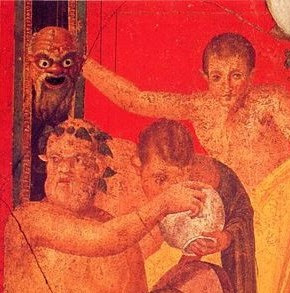 Some of the themes and aesthetics from the classical works probably bled through. How would you compare Hymn of the Pearl to modern classically-inspired novels, like Mary Renault or C.S. Lewis' Till We Have Faces? I haven’t read either of those novels. However, based on my reading of other C.S. Lewis books, I can confidently say that my writing isn’t remotely as good as his. Few can take a complex concept and explain it in simple terms like Lewis could. What benefits (if you can talk about them) are there to publishing with Castalia over self publishing? It’s too early to tell. We’ll have to wait till the book comes out. I’m as excited to find out as you are. Do you consider yourself aligned with the PulpRev movement? If so, why? I agree with the PulpRev on several points. Comparing the pulps to works of the so-called Campbellian Golden Age, it’s clear that the pulps on the whole are superior. Authors like Howard, Merritt, and Brackett knew how to entertain audiences. 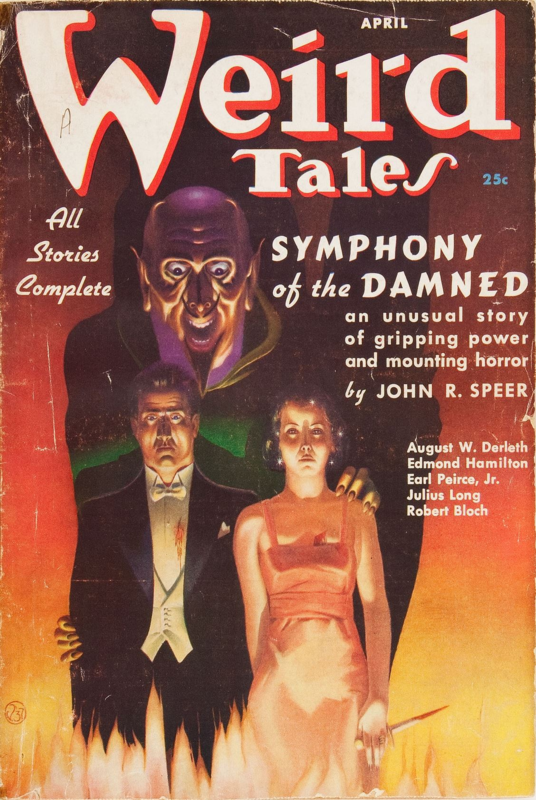 Their works displayed a moral certitude that’s anathema now, yet the heavy-handed political agendas that are par for the course in contemporary tradpub were blessedly absent from the pulps. It’s becoming more and more apparent every day that print science fiction lost its way after World War II, due largely to the Futurian movement and editors like Campbell who championed “hard” SF. They brought in Big Men with Screwdrivers and banished the fun. As a result, science fiction has fallen from its place of cultural dominance to the worst-selling book genre. When you’re heading in the wrong direction, the first one to turn back is the first to start making progress. Science fiction must retrace its steps to escape its current dead end. It must find the point where it still had the reading public’s trust and blaze a new trail from there. However, it should be noted that I myself am not a pulp author. No less a luminary of the Pulp Revolution than Appendix N author Jeffro Johnson has said so. That’s fine. I’m content to cheer the PulpRev on from the bleachers. What are your thoughts on the future of "genres" in the book market? Genres as we’ve known them are teetering on the edge of irrelevance and will fall with the collapse of the Big Five New York publishers. Current genre categories, including the arbitrary separation of science fiction and fantasy, are conceits of print booksellers that were invented to help them organize dead tree volumes on a finite number of shelves. Keyword systems like Amazon’s are far more effective at helping customers find books they want to read. Brick and mortar bookstores have been forced to adopt them, so it’s a good bet that keywords will effectively replace genre. Larry Correia once gave aspiring authors this advice, and I’m well-placed to confirm it: Write what you want and let the booksellers worry about which box to put it in. Do you consider what you write to be "holistic?" Do you specifically seek to interrogate certain subjects while you write, and if so, how much of your motivation to write does that cover? I write to please readers so I can get paid. If you could send a letter to yourself in the past, what sort of tips related to writing and publishing would you give yourself? Without question, I would urge my younger self to finish Nethereal in time to take advantage of the early Wild West days of KDP. I’ve done well self-publishing, and Amazon still makes it easier now for authors to reach readers than at any other time in history, but it would’ve been nice to get in on the ground floor with folks like Hugh Howey, Amanda Hocking, and Joe Konrath. Are there any tricks about the very basics of writing, forming sentences and paragraphs, that you'd like to share with us? Every sentence should accomplish at least two of the following: advance plot, convey action, describe setting, establish character, set mood/tone, develop theme. A lot of writers will tell you that the way to build excitement in action scenes is to write paragraphs with lots of short sentences. That’s only partially true. Even better is to write a paragraph with a handful of short, clipped sentences that lead into an extended, almost rambling final sentence. Let the details drip out at first; then open the floodgates. If two astronauts were on the moon and one killed the other with a rock would that be messed up or what? I’ll answer your question with another question. What’s more messed up: passing a corner on a bus ride and seeing a man engulfed in flames screaming and flailing around, or seeing a man engulfed in flames standing quietly and occasionally checking his watch? We'd like to thank Mr. Niemeier for his time and attention. Make sure to check out Hymn of the Pearl, currently three US dollars on Amazon (digital only), and for future updates remember to bookmark Niemeier's personal website.